I've always been a sucker for anything mini-sized, whether it be a tube of toothpaste or the furniture for my American girl dolls Molly and Samantha. The same applies to food. 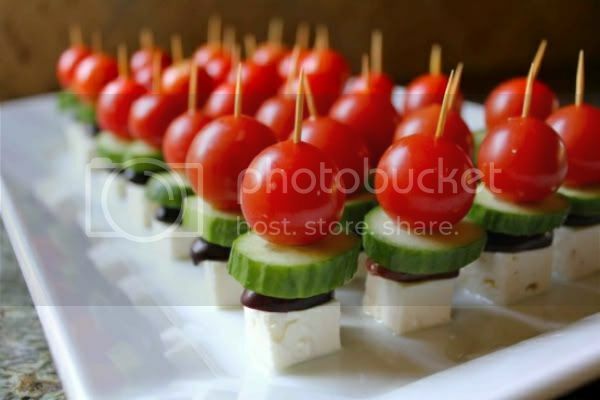 Most of these dishes are simple, but when shrunken down to these bite-sized forms, they gain a sort of novelty and a practicality perfect for any and all hors d'oeuvres. 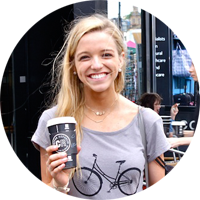 We'll start with the same meal we start our days with -- breakfast. 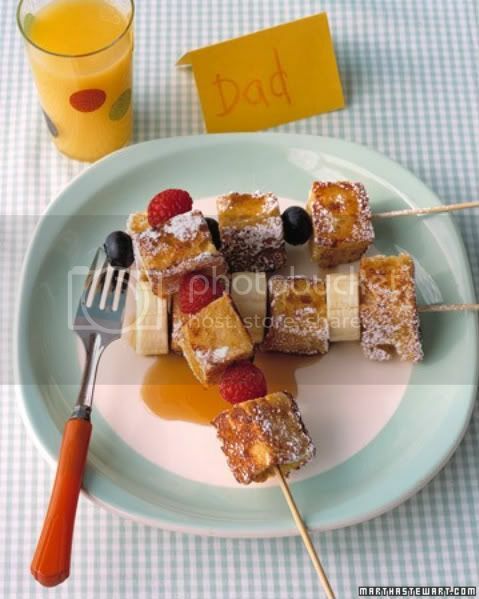 This kabob of french toast bites paired with fresh fruit are perfect for dipping into syrup. 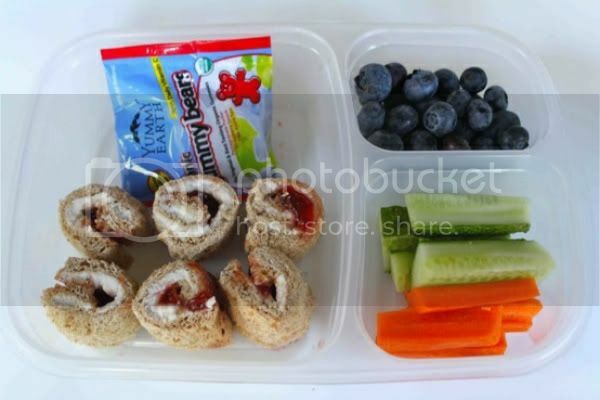 For those kiddos who like their sack lunch with a touch of gourmet to distract themselves from the smelly cafeteria surroundings, here is an adorable tray of pb&j sushi. Wrapped in both white and wheat breads to appease both mom and child. 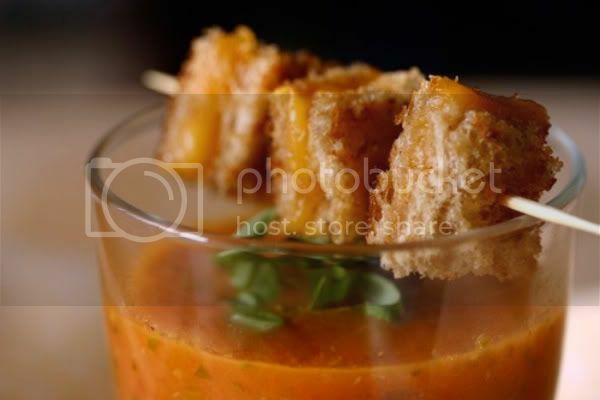 And for a more grown-up sandwich (a little more grown-up anyway) here's a skewer of grilled cheese sandwiches sitting atop steamy tomato soup. 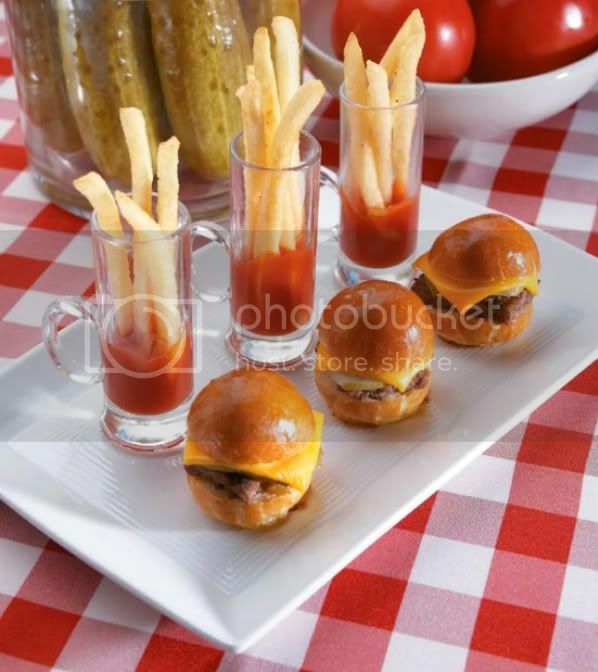 We've all had slider hamburgers, but these rate even higher on the adorable scale next to the french fry shooters. I'm not neglecting drinks. 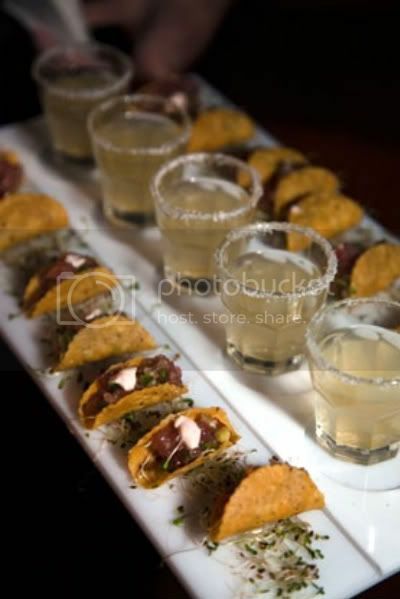 These mini-sized glasses hold margaritas to match the equally tiny tacos. 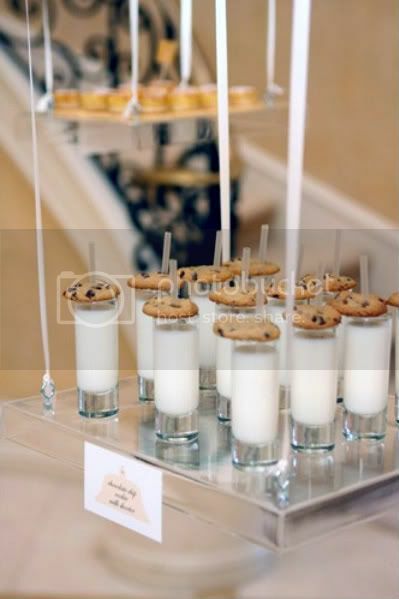 And for dessert--the classic combo of milk and cookies. The cookie is conveniently secured by the clear straw. Not only are these foods more appealing to the eye, but I think I'd feel a little less guilty if my burger and fries were a fraction of their usual size. A few fry shooters is surely less calories than a medium at McDonalds, right? You should have a mini themed picnic.